Xfinity (to promote its mobile carrier service) recently unleashed a suite of 6-second pre-roll ads to show customers of their competitors exactly how much money a YouTube video they watch costs them in data. The company says it’s tailoring the ads based on users’ carrier (AT&T, Sprint, or Verizon), and the type of video they’ve chosen to watch, making it hyper-relevant to each viewer. It’s not just advertising, but utility. If anyone you know can tell you how much it costs them to use data for different applications or purposes, they’re much more clued in than the rest of us. But more importantly, it’s intended to be personalized to each user, further signaling that the future of advertising (and products) are truly individualized. 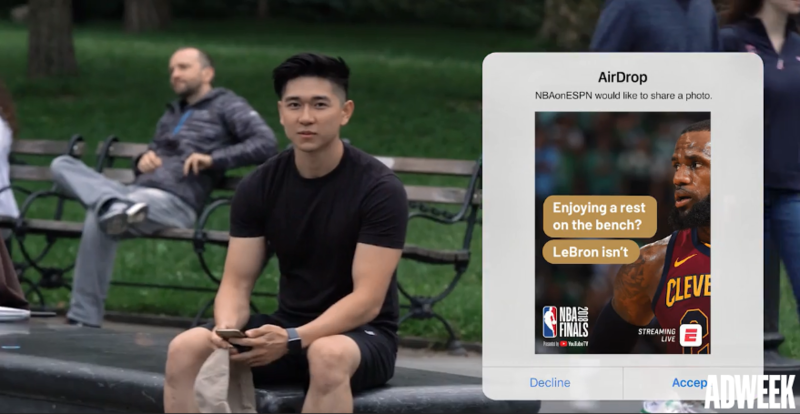 To promote its live stream of the recent NBA Finals, ESPN pulled an interesting stunt in Manhattan – Airdropping images with text connecting what people were doing with watching the finals. I’m not sure it is either real, or hot, but what’s seemingly interesting and clever is the fact that they utilized an overlooked iOS feature and used it to personalized their message on a one-to-one basis. In advance of this year’s Boston Marathon, Adidas says it’s planning to capture and create personal highlight videos for all 30,000 runners of this year’s race. How it works: “RFID tags in the runners’ race bibs and street mats that emit ultra-high frequency radio waves will provide Adidas with data on each runners’ performance. Using this technology, the sportswear brand is able to capture all the footage for the videos with just seven cameras and a team of 20 people spread across the 26.2-mile course. We often talk about the trend of ultra-personalized product or service experiences, but marketing hasn’t necessarily been a major part of that conversation. As this becomes peoples’ overall expectation of brands, it will have to adapt. Plus, in another time, Adidas would’ve just made a nice commercial touting its 30 years of race sponsorship. But instead, it decided to devote time, money, and effort to adding something memorable to the experience of the athletes running the race it’s sponsoring. 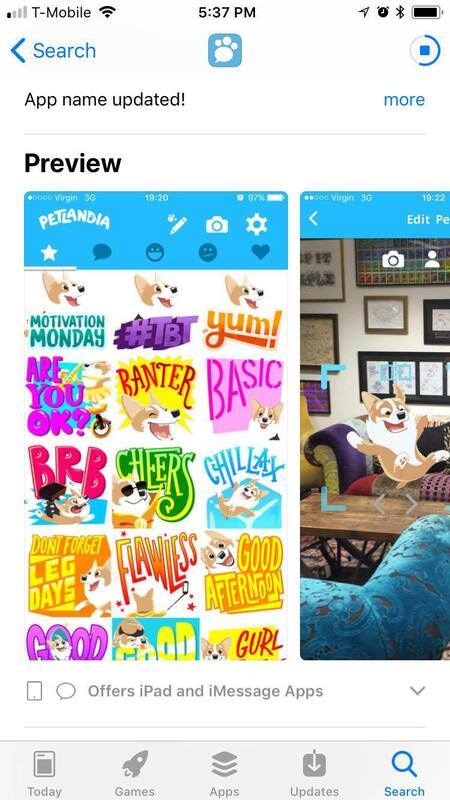 Petlandia – Personalized Story Book About Your Pet! 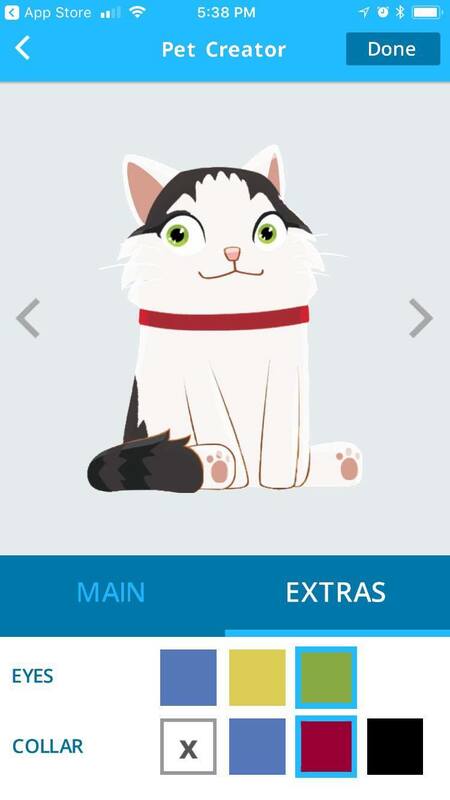 Petlandia is a service that allows users to edit an avatar to look like their pet and then puts them into a story book. I went through it with my cat, Miso. 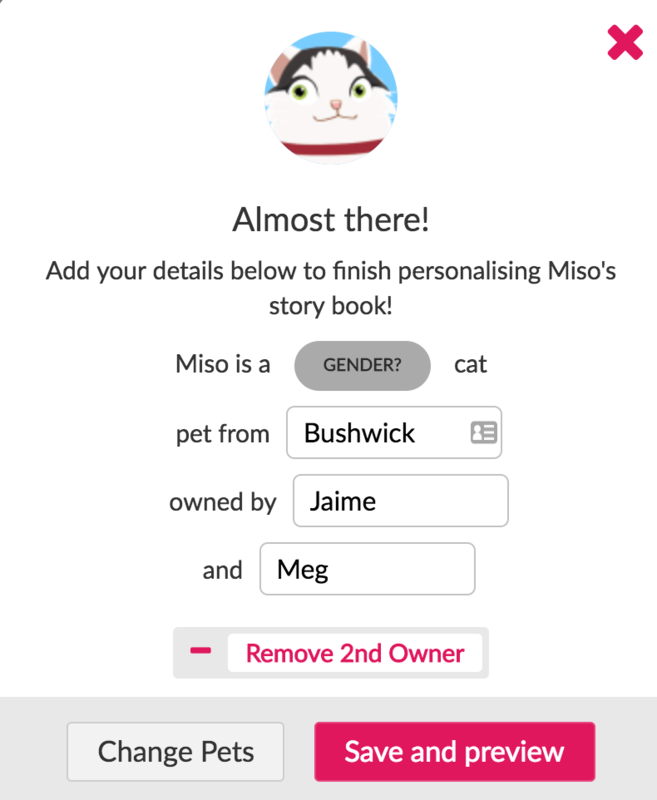 I started off by editing an avatar to make it like Miso. Colors and pattern seem to be the major customizable features. Then I entered details about him and his owners (me and my girlfriend Meg). And that was it! 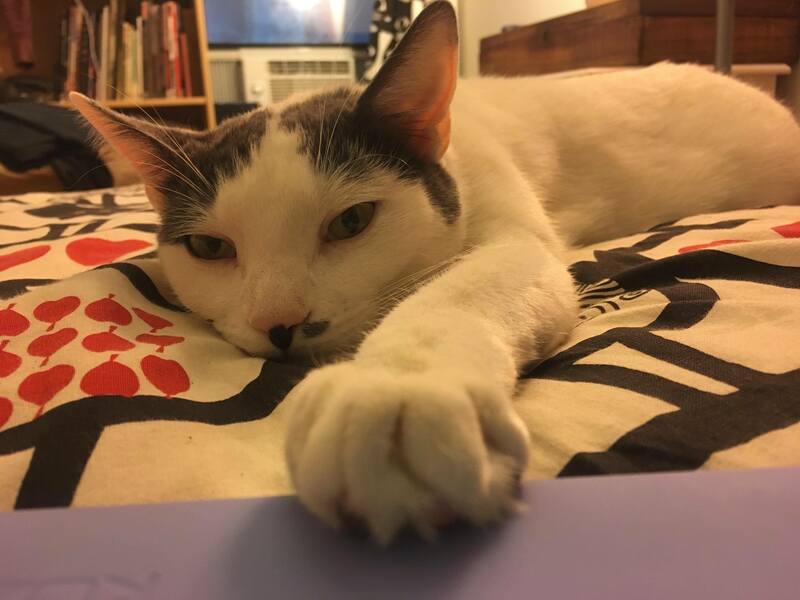 I had a book all about my kitty. There’s about 30 pages in the book that I could purchase it for $30. I browsed their site about after purchasing the book as a Christmas present to my cat (I hope he likes it!) 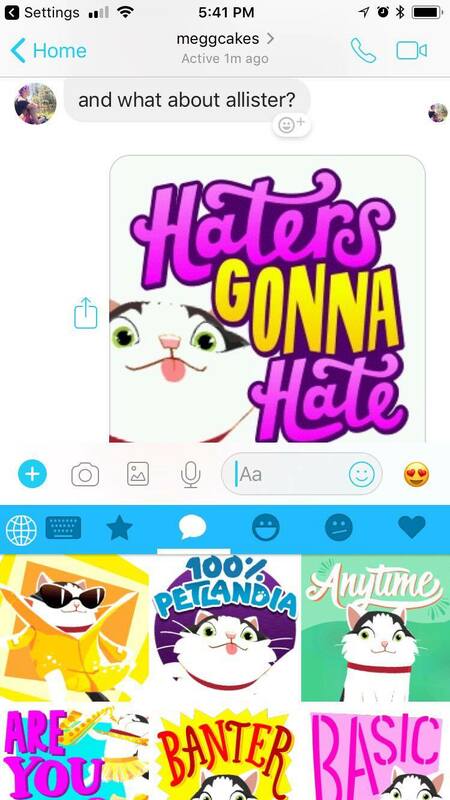 and found that they have an app where you can make stickers for your pets to send in chats. …I had to try it. I downloaded the app from the App Store. There’s no logging in, so I had to make Miso’s avatar again. Look at him with his cute lil face! 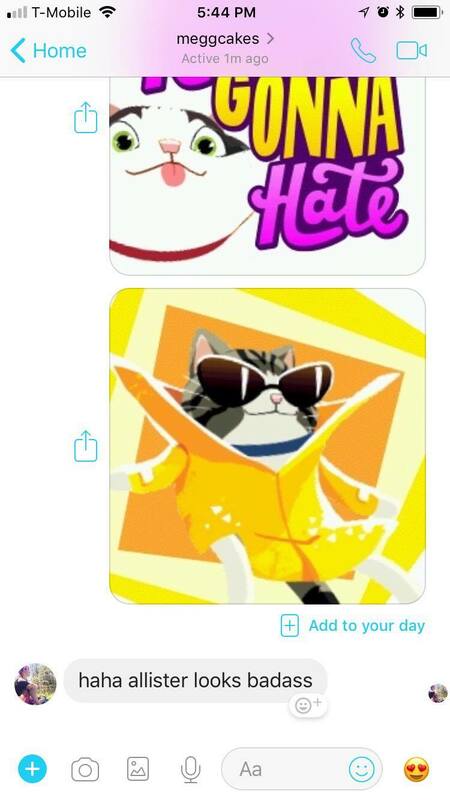 I sent a sticker to Meg on Facebook, but she reminded me that we have two cats and I can’t play favorites. 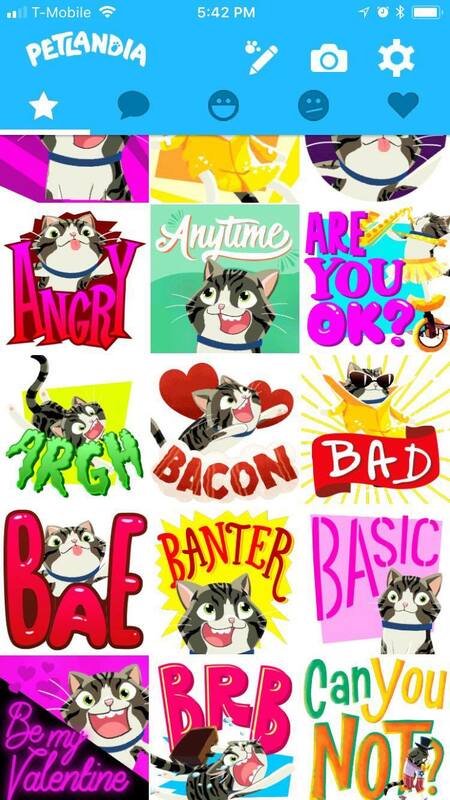 So back to the app which allows you to create multiple pets to make some Allister stickers. Meg was happy with the results. Mattel’s new “Hello Barbie” hits store shelves later this year and has more tricks up her sleeve than just saying hello. With the press of a button, Barbie’s embedded microphone turns on and records the voice of the child playing with her. The recordings are then uploaded to a cloud server, where voice detection technology helps the doll make sense of the data. The result? An inquisitive Barbie who remembers your dog’s name and brings up your favorite hobbies in your next chitchat. 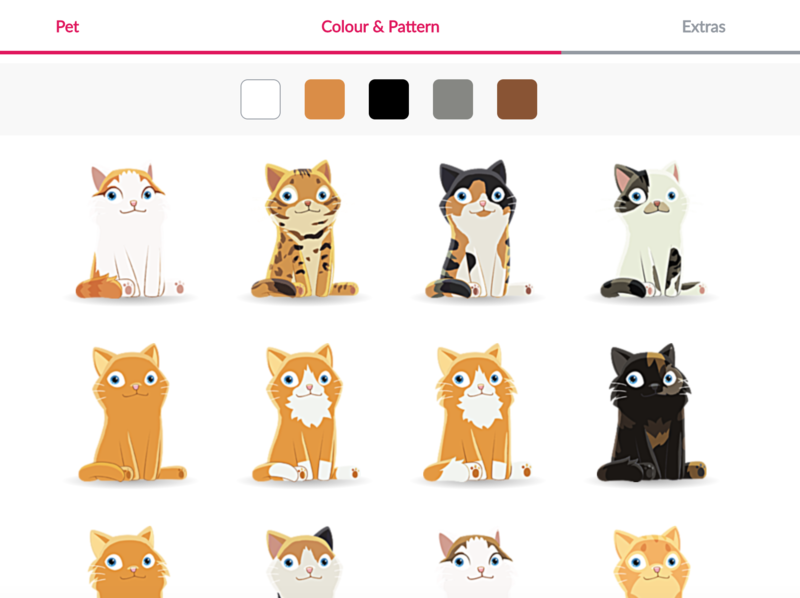 The overall concept is interesting — a toy that listens and learns your child’s preferences and adapts accordingly … a true demonstration of personalization. The obvious downside is that nobody really knows what is being done with all that data (collected from kids!) and puts a level of accountability on the company. For example, children confide in their toys – so what if a child admits that they get hit by a parent? Should Mattel be on the hook to report it? Random uses a new discovery engine that they call “predictive discovery.” An algorithm focused on collecting behaviors within the application instead of outside influences like social connections, search queries, or personal information. This sort of predictive modeling has huge implications when thinking about the future of information discovery and how it is delivered to you. Leaning less on linear delivery system to more of a non-linear, predictive and adaptive system that is tailored to your unique interests. Gap is piloting an in-store tracking app of sorts next month and increasingly tailoring its web presence for individuals. 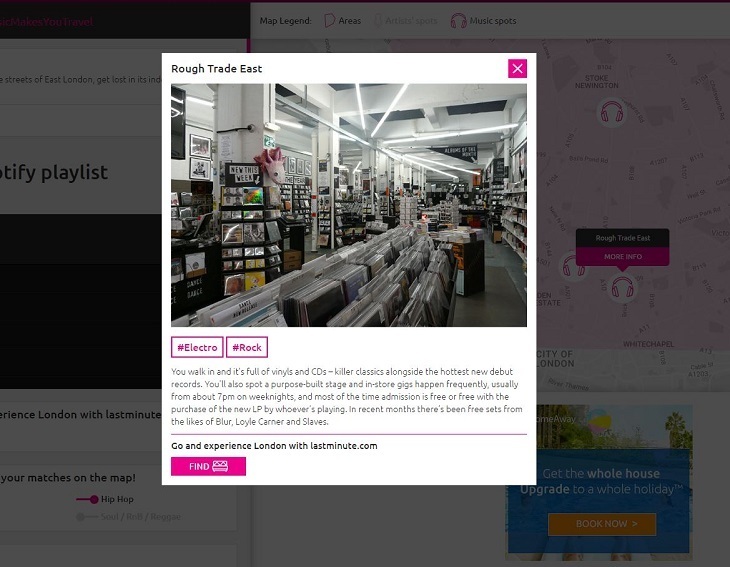 It’s facing new mall competitors as well as Amazon, the master of online personalization. So what does it mean for shoppers? Online, that means different landing pages based on your browsing history, ads targeted to where you live — it’s called “geosniffing” — and more targeted emails. As for the physical world, the company will pilot a program at “a small group” of Banana Republic stores in two markets next month that will incentivize customers to identify themselves when they walk in, either through a smartphone app or via email addresses and phone numbers. The in-store program will be opt-in, which will help Gap avoid the pitfalls other retailers, most notably Nordstrom, faced after testing in-store tracking without customer permission last year. To that point, a major part of Gap’s presentation focused on personalization online, where it’s seeing tremendous growth — e-commerce sales soared 21%. 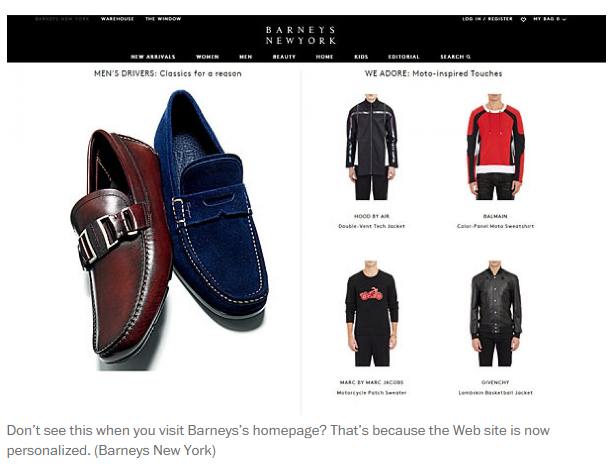 Much of that tailoring is coming from cookies in the average person’s browsing history, as well as information they might voluntarily provide on Gap’s websites. Recently, Gap has started modifying homepages based on who’s looking at it, something most customers probably don’t realize is happening. If you’ve told them and your cookies show that you’re really primarily a baby shopper, then Gap would probably go and put a baby landing page in front of you rather than landing on the generic brand landing page. If you’ve noticed personalization have become more frequent and more accurate nowadays compared to even a couple of years ago. It’s hot because it is data-driven, saves time and allows the marketers to become more personal with their clientele.